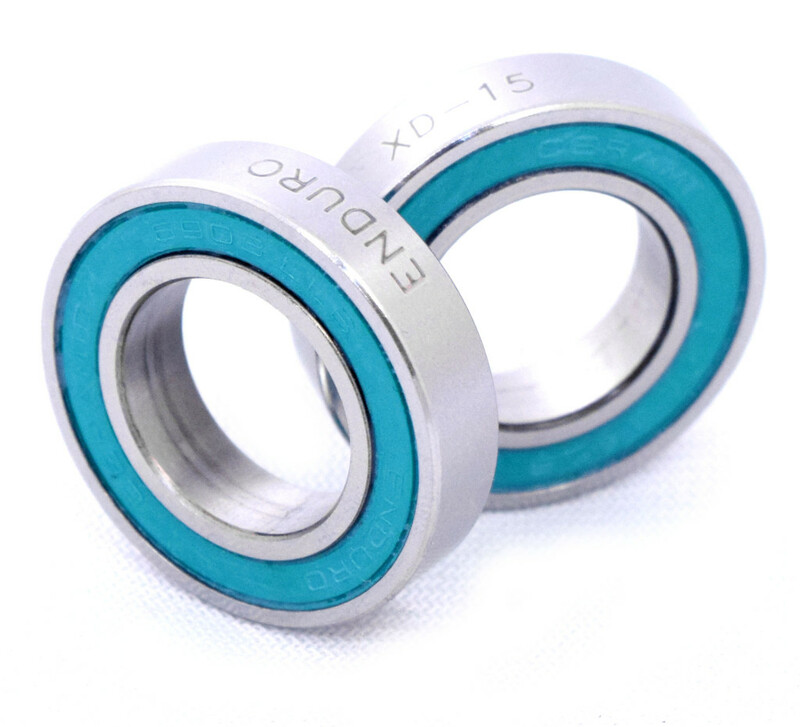 XD-15 is the ultimate ceramic bearing for your bicycle hubs when nothing but the fastest will do. Silicon Nitride balls are 7 times harder than steel, and we only use the best Grade 3 Si3N4 balls. With XD-15 nitrogen steel alloy proven in aerospace applications, they are not only tough and long lasting but are naturally corrosion resistant. We recommend using grease in all bearings, but even if you power wash the grease out of your XD-15 hub bearings, they will still perform without failure. Tour de France race proven, ZERØ bearings have become the standard for bicycle racers at every level. More blogged, talked, and tweeted about improving the rolling performance in descents, you will find yourself possibly having to use your brakes more. ABEC-5 tolerances, Grade 3 ceramic balls from Japan, silicone seals, cryogenically treated races; these all add up to slippery speed. Black Oxide races indicate the three step Magnetite treatment they go through for corrosion resistance. The raceways are additionally ground and polished after this treatment for a smooth running ball path, with a final cryogenic treatment to finish it off. Besides the patch where your tires meet the road, what’s the next spinning component that can either slow you down or let you roll faster? 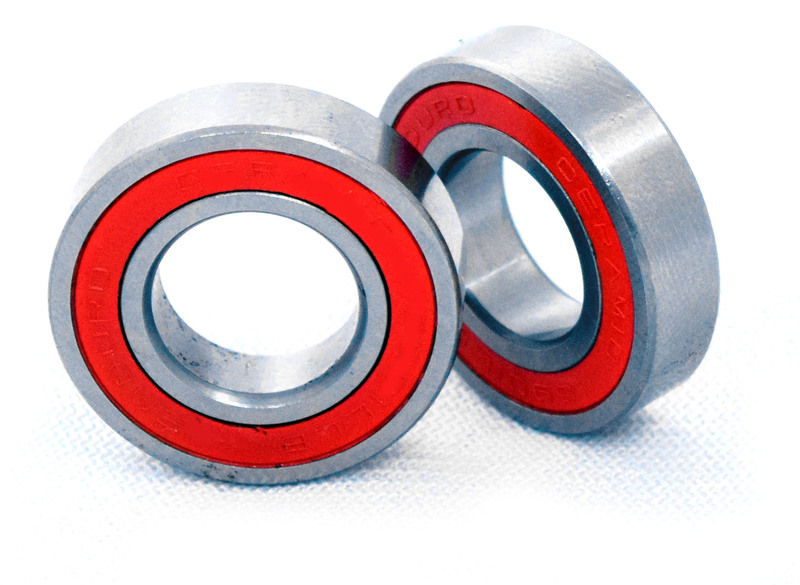 You would be correct if you said hubs, but that component would be more accurately described as the bearings inside. 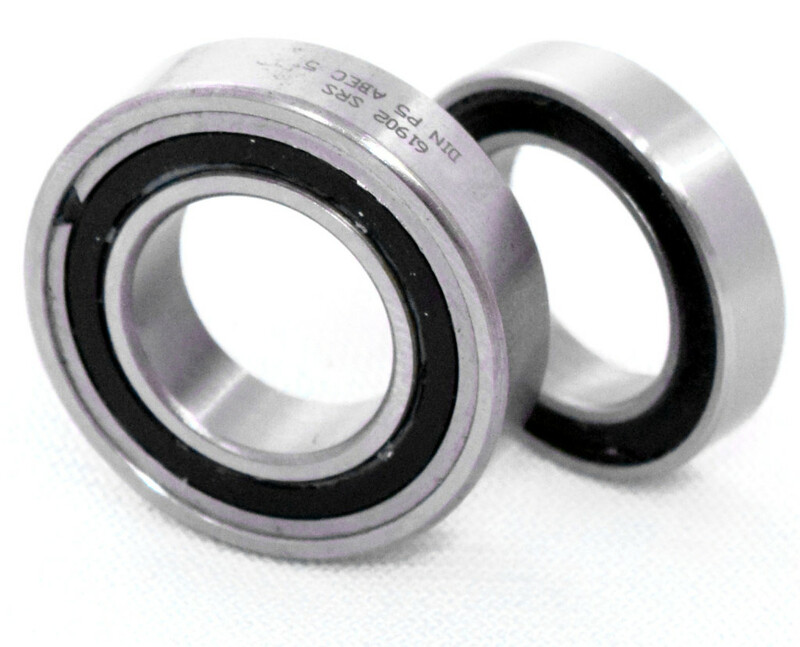 And if you've put Enduro Bearings CH ABEC-5 bearings inside, you've just upgraded your hub to another level. Accurately ground and polished to ABEC-5 precision tolerances, Grade 5 Silicon Nitride balls roll with no resistance guided by a graphite nylon retainer. LLB seals keep the dirt out and the Enduro Bearings Formula 7703 grease inside with the dual lip seal design. 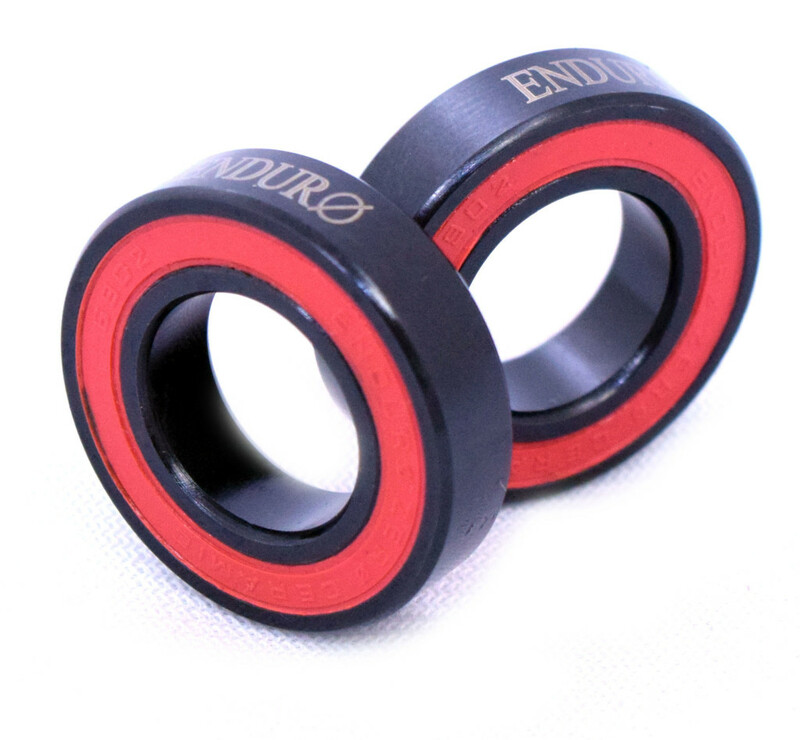 For your premium hubs, or, if you want to turn your standard hubs into premium hubs, just install Enduro’s ABEC-5 bearings. Grade 5, 52100 balls are the roundest and most perfect chromium steel balls available outside the aerospace industry at 5/1,000,000” tolerance. ABEC-5 tolerance races with SRS snap ring seals or LLB types insure smooth movement and easy serviceability. Graphite nylon retainers keep them rolling with the least amount of drag or resistance. And a specially formulated Enduro Bearings grease, Formula 7702, runs super fast with ultimate protection for long runs in between service. Upgrade your bike with something you can actually feel makes you go faster.